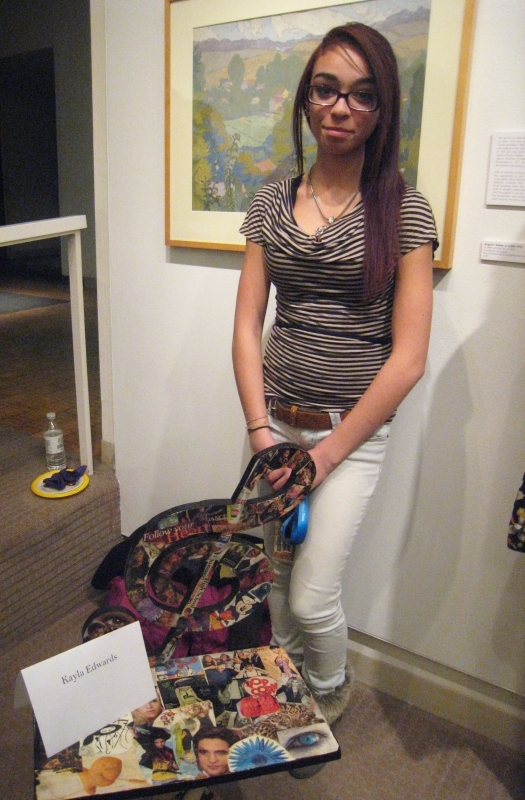 Kayla Edwards proudly displays her WikiSeat, which includes a wood treble clef covered in magazine clippings to represent Kayla's love of music and pop culture. 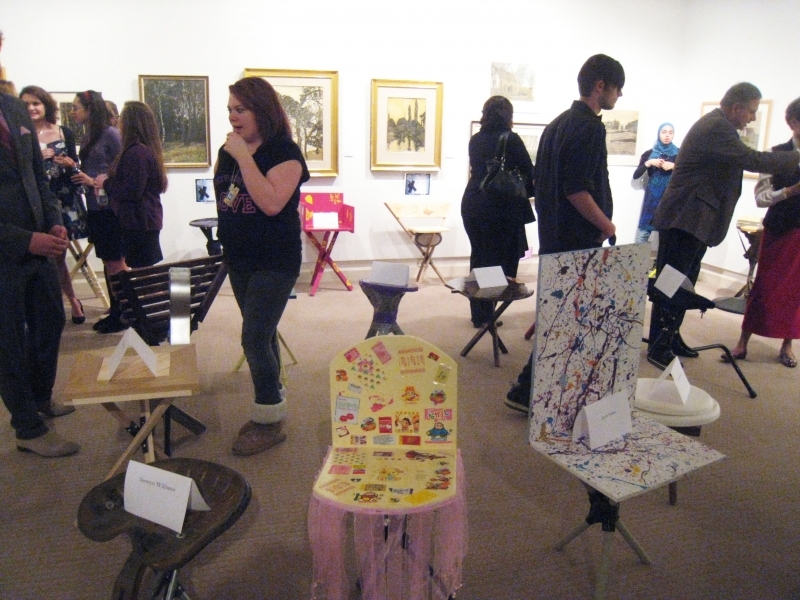 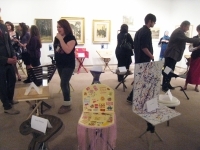 WikiSeats on display at the Beck Center for the many who came to view the creativity of the LHS students. 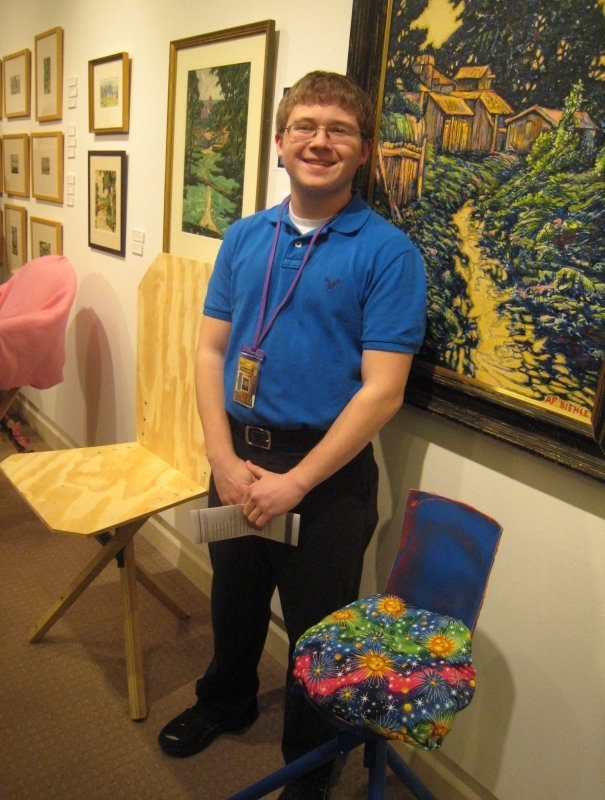 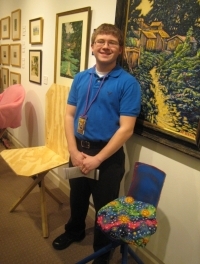 Tyler Crossland is proud of his colorful WikiSeat.